The biggest impact on Atlanta could be what the proposed highway takes away. ATLANTA — It's been decades since Georgia saw the construction of its last interstate, but a group of young proponents is pushing for a new one connecting Georgia to western Texas. 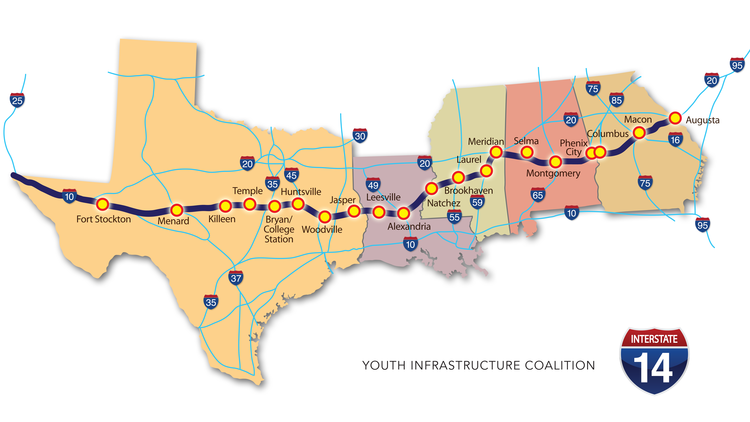 According to the Atlanta Business Chronicle, the young members of the "Youth Infrastructure Coalition" are reigniting a previous interstate push that would connect Fort Bliss, Texas to Augusta, Georgia. The Chronicle points out that the highway still hasn't caught major momentum with Georgia Department of Transportation - with many projects far ahead of it and funding still a question. But one of the leaders of the group pushing for this "Forts to Ports" highway says the goal is to use as much existing roadway as possible to keep the costs down. Frank Lumpkin of Columbus is a sophomore at The University of Georgia and one of the people who is spearheading the new push for the major highway. 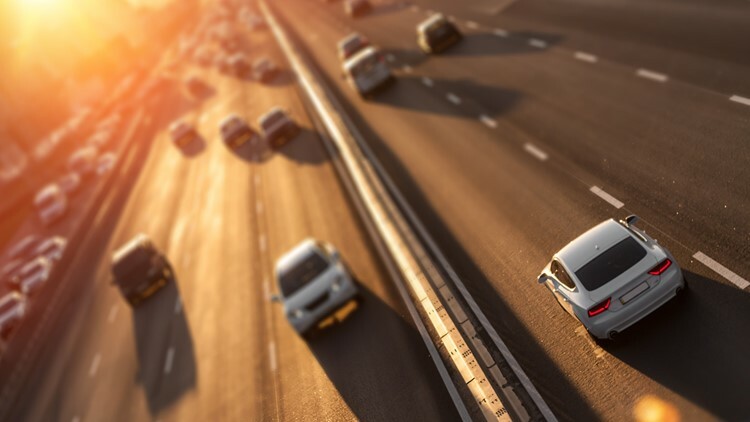 With all new roads from Augusta to Columbus, it would cost roughly $4.6 billion to construct what has been dubbed I-14. But that cost diminishes greatly if the 220 stretch of road utilizes the existing Fall Line Highway. That estimate is closer to $500 million. That definitely helps make the plan more feasible in Georgia, but what about the other four states I-14 would cross through entirely? Well, the Chronicle reports that two other members of the infrastructure group are from Alabama. So, it may take a push from inside each state to make the new interstate a reality. Lumpkin already has resolutions lined up in 15 Georgia cities and counties along the route and told the Chronicle that I-14 could be a boon for many of the poorer communities along its route. But the greatest benefit the highway could have to Atlantans could be the semi-trucks it takes off the already-congested interstates running through the city. Right now, a trip across Georgia by interstate requires a trip into Atlanta to catch I-20 - or a trip straight through the heart of the city following the highway all the way through. Alternatively, I-85 does cross through the state, but in a long diagonal path from west-central to northeast Georgia, it's not exactly the quickest path for some traffic. The only other interstate with major east-west connectivity in Georgia is I-16. But it only goes from Macon to Savannah, leaving other states - and most of west Georgia - out of the loop. The Youth Infrastructure Coalition now has a petition available for support of the proposed I-14 that allows supporters to weigh in as well.